To receive Satellite Weather Pictures, you need a special antenna that will handle the rotating signal. 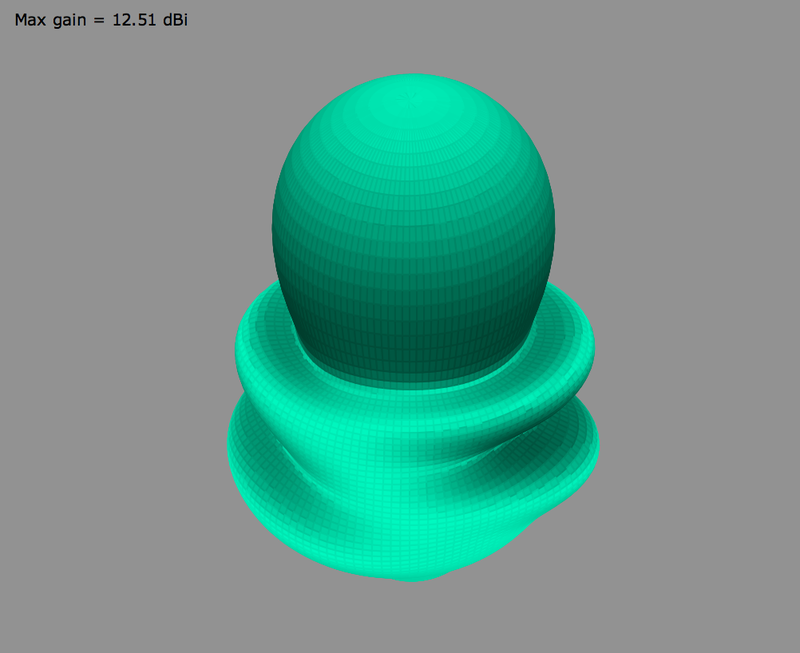 To see how well it works, I modeled his design with NEC2 using CocoaNEC on my Mac. The radiation pattern looks cool. With 12 dB gain, it would be good on a simple tracker or for permanent pointing at a Geo sat. You cannot just point it up at the sky to catch a polar bird, since then a satellite would have to pass almost directly over head, which doesn't happen very often. At this size, a crossed Yagi would be rather easier to build though. A helix is more suitable for the 70 cm band, where it will be much smaller and easier to support. This design will work over the whole 2 m band and is good for Hamradio, Weather and Cubesats. What I like about satellite work, is that it is low power, sensitive work, so you need to know what you are doing, but you will not zap anyone touching your antennas when you happen to be transmitting at 3 or 5 Watt.